Shirts With Random Triangles: Happy Frank Beamer Day! Virginia Governor Terry McAluliffe declared Thursday as "Frank Beamer Day" in a ceremony held in conjunction with Virginia Tech's annual lobby day at the state Capitol. Beamer coached Virginia Tech from 1997-2015. 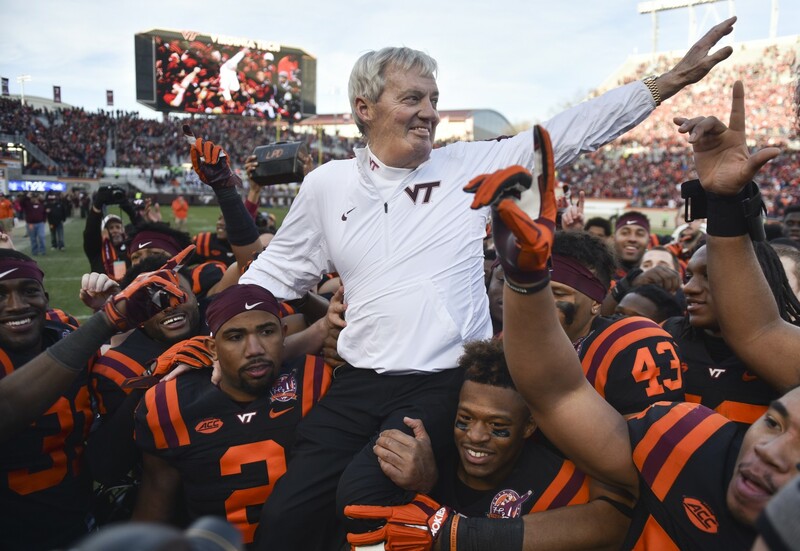 The Hokies' record for beamer in his 29 seasons as head coach was 238-121-2, and a bowl record of 11-12 in 23 bowls.